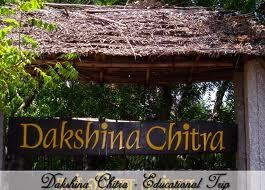 DakshinaChitra – A cross cultural living museum in Chennai, Tamilnadu - Ghumakkar - Inspiring travel experiences. 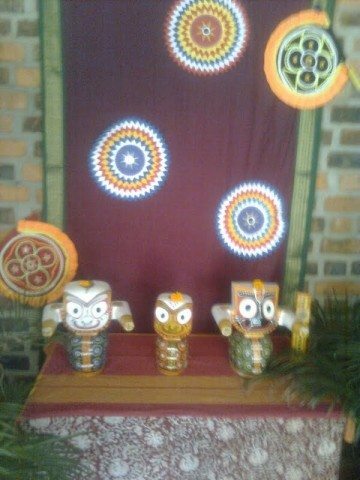 Today is Pongal/Makar Sankranti . I am starting my new series “Welcome to Chennai” on this pious day. So first of all I should wish everyone Happy Pongal/Happy Makar Sankrant /Happy Lohri (Sorry Belated, as this post will be published later). Chennai – City where I am currently residing. We came to Chennai in the year 2009 from Delhi. Delhi and Chennai are totally different cities. Major difference we faced here was Language. Initially it was like a foreign land for us or you can say we were foreigner here. 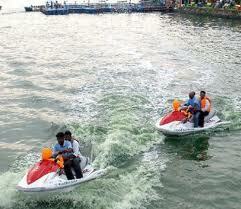 Slowly slowly we tried adjusting ourselves or Chennai had adjusted us as per Chennai life. Jeans /T-shirt got replaced by Salwar suits & Sarees, Hair accessories were replaced by Veni (real Flowers), Cholle Kulche got replaced by Idly,Dosa and Pongal, Bhaiya replaced by Anna and finally our tag of North Indian got replaced by ourselves as Chennaites. But, I must admit that today I am in love with this city, no matter even I am still a learner in Tamil language ,no matter we never get a chance to see temperature below 10 degree , no tasty north Indian foods , but Chennai is Chennai. So , I am here to take you to a trip of Chennai. Hope everyone will enjoy this post and my feelings and experience towards Chennai. I am also sure that in this series you will surely explore few new interesting places which are not very much advertised on internet. First place I would like to take you is Dakshin Chitra – As name suggests, it means a “picture of South”. 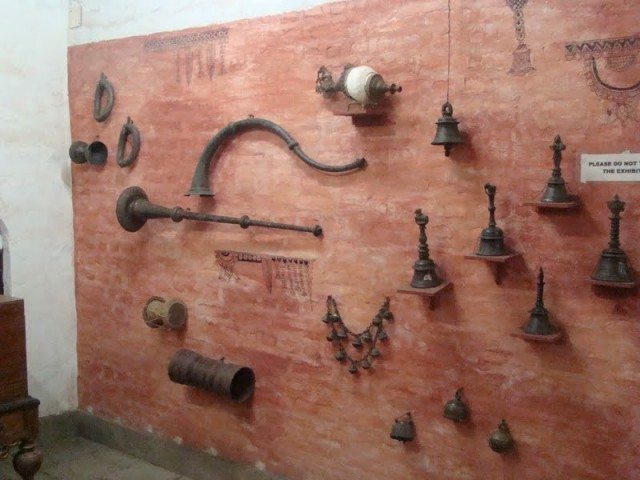 Dakshin Chitra is a non profit community service project of the Madras Craft foundation for the promotion and preservation of the cultures of the diverse people of India with emphasis on Tamilnadu, Kerala, Andhra Pradesh and Karnataka. 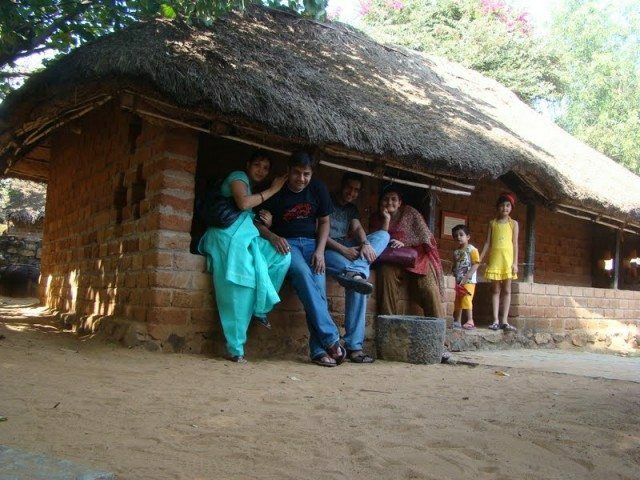 We went to DakshinaChitra in the month of December 2010 by our car. The entry fee for DakshinaChitra is Rs 75/- (adult) and Rs 20/- (Children between 5 to 12 years) and Rs 30/- (student between 12-18 years). Although this place is located at the outskirts of Chennai (or to be precise 45 kms from the city) it is very well connected from city. Regular buses and taxis are available for going to this place. This place can be very well visited if you are visiting Mahabalipuram or Pondicherry and can spare 1-2 hours in between. So after purchasing tickets we entered inside the DakshinaChitra. On our left there were shops selling crafts item .Also at the entrance we found Jagannath Puri’s idols kept in the courtyard area. 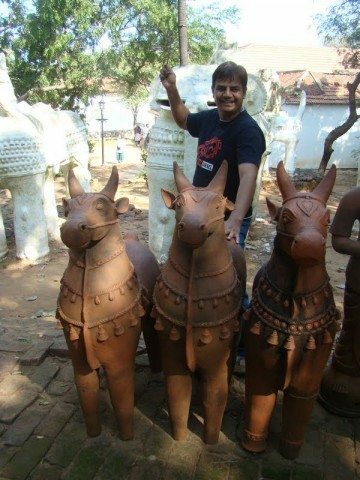 We were then informed by the staff there that they were celebrating Orissa craft festival so craftsman’s from Orissa has come here to exhibit their art and culture. On the right side of us there was also a restaurant, library and toilet blocks . All these were small beautiful ground floor structure with paved roof. We skipped going first to Library and moved straight. On our right there was Amphitheatre. As we moved further we found small shops selling craft and art items. Also there were stall teaching how to make terracotta toys, palm leaf decoration, puppet making etc .They term this area as “Craft Bazaar”. After spending fifteen minutes at Craft bazaar and purchased nothing we proceeded further. There were proper sign boards or direction boards were fixed on paved path to guide visitors. We first went towards Tamilnadu Section. Also we had pamphlet in our hands given to us along with ticket so we were very clear on which way we should go. As soon as we entered inside the Tamilnadu we had this feeling as if we had entered into some small village of Tamilnadu. 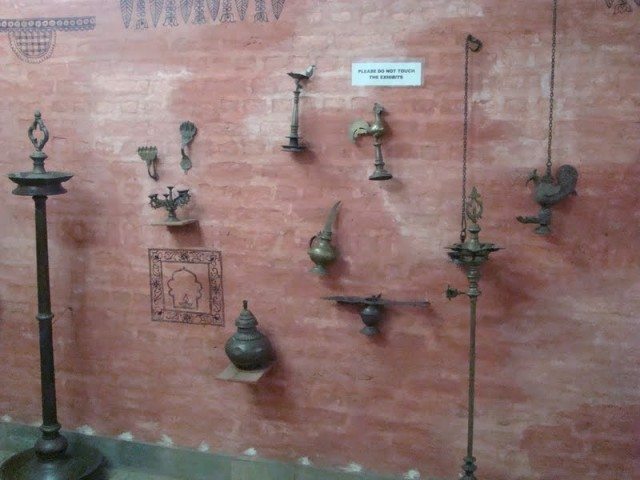 Beautiful Chettinad style houses and other houses were showcased at that section and that too in a real size. There were replicas of 6 varieties of Tamilnadu House (Merchant house, Agriculturist house, Potter’s house, Basket weaver’s house , Bramhin House, Weavers house) at the Tamilnadu Section. Also there were halls dedicated for art and textile exhibition and a replica of Ayyanar Shrine was also made at this section. It was for the time I was seeing Tanjore painting. It was so beautiful . So I decided to learn how to make Tanjore painting. But when I actually started I realised that it is very fine art and it is not my cup of tea. Somehow I finished my Tanjore painting in 2.5 months. 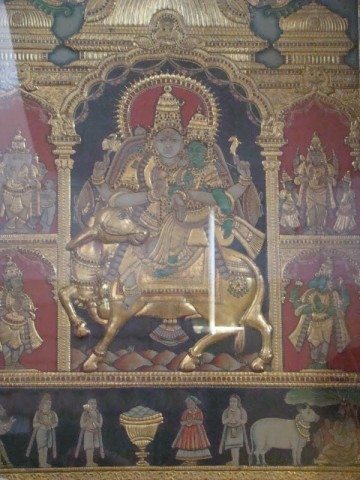 For those who are not aware of, Tanjore painting is a major form of classical South Indian painting from the town of Thanjavur , Tamilnadu. Gold foils are used for making this painting. So, we had finished Tamilnadu section and then we moved to our next section Kerala. 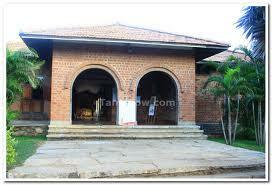 Kerala section again had replica of varieties of house like Hindu house , Christian house and Activity hall. This finishes our Kerala section and we returned towards Reception area as Karnataka and Andhrapradesh section was on other side. On the way we found Small Park where children’s play equipment like slides and sea saw was available. 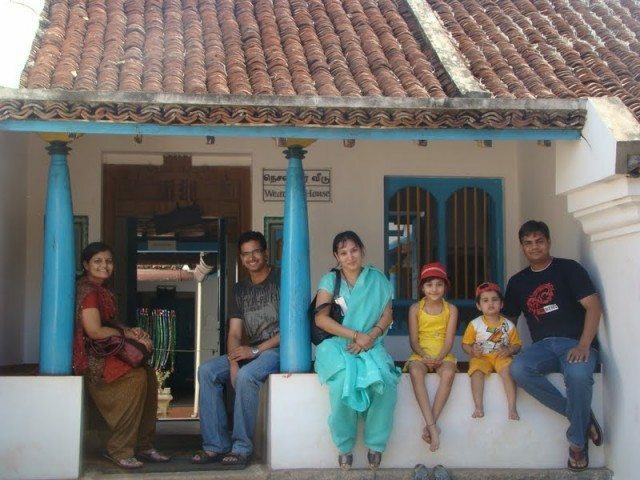 All of us were very tired and hungry so we sat down at one of the Houses of Kerala Section. After coming near to reception we were informed that Karnataka and AP section work is not yet fully complete, so we thought of skipping these two sections. We then went to Gallery and craft shop near reception, did some window shopping and came back to our car. This finishes our day at DakshinaChitra which was quite interesting, informative as well as tiring as one has to walk a lot. From here we straight headed to Sangeetha Restaurant at Adyar for doing our pet puja with mouth watering South Indian meals. 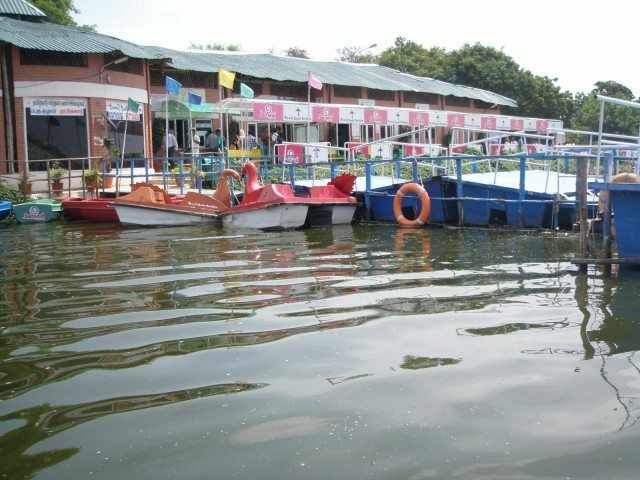 As Dakshina Chitra is far off from Chennai one can club points like MGM Dizee world (Amusement park), Muttukadu Boat point along with Dakshina Chitra. 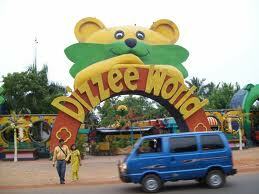 I will soon add a post on Muttukadu and MGM Dizee world in the series. As I am a Greening person professionally as well as personally, I decided to do a bit from my side to save earth in my each post. So here is a tip to save our mother earth to all Ghumakkars as well as to all who all will read my post.Hope everyone will like my small initiative. 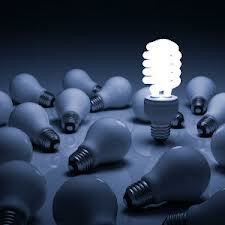 Change incandescent bulbs into CFL .It will save lots of energy as well as your electricity bill. I wonder how I missed this Abheeruchi. You have described Dakshinachitra so well. It is a good learning experience for children in particular and quite nice for those who have not seen those typical houses before. When we first went there, it was at the end of a trip through the villages of the Cauvery Delta so somehow we were not impressed, having just seen the real McCoy. I went recently in December as part of a marriage party for a lunch that was organised there and all the kids in the group thoroughly enjoyed themselves. Nice pics too. Keep writing. Thanks Gita for liking the post.I think you are mentioning about missing the post. Actually post was initially scheduled on Feb 3,but due to certain system updation it didn’t published on that day. Yes, it is a beautiful place and that is the reason I started this series by Dakshina Chitra. 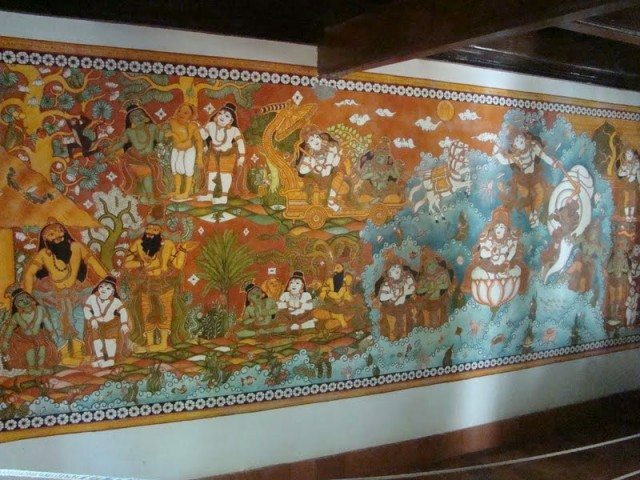 Thanks for the virtual tour of Dakshina Chitra, Abhee. I was not aware of this heritage village. It is a very good idea to preserve glimpses of the past for the future generations. The traditional way of life is fast disappearing and for those of us who belong to the older generation, it is a nostalgic reminder of the past. 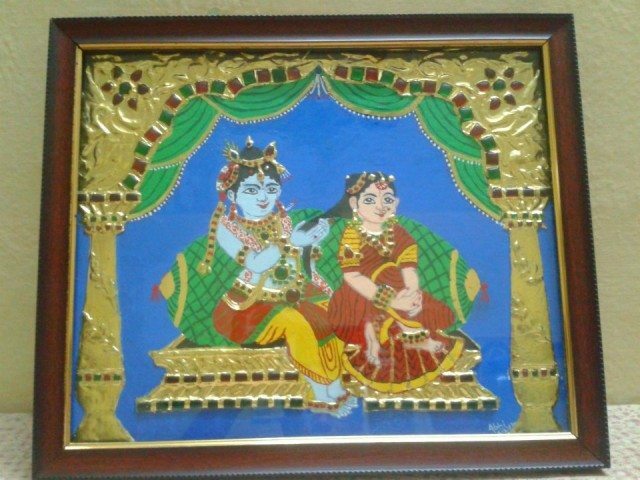 BTW, I think that you have made a very nice Tanjore painting and I think that it is only a matter of time before you start creating your own masterpieces if you are serious about this hobby. Thanks for liking the post. Actually it is a very nice idea specially for kids who all are now growing up in multi storeyed and concept of these houses can only be seen in Books. Never heard about this place. Very well described. I use to travel all over India for my official, and try to take out some time for Ghumakkari too . Could you suggest anything nearby Maylapore (our branch office) or Marina beach where I use to stay? Thanks Mahesh ji for liking the post. If you are at Mylapore , then you can see famous Kapeeleshwar temple, can have nice coffee at Saravana Bhavan next to this temple. 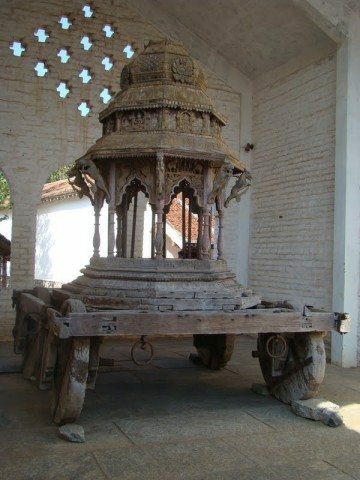 Near Marina, you can visit Parthasarathy temple which is considered to be one of the 108 divya desham of Vishnu.Also you can see Fort st.george museum and Santhome Church which are closer to Marina beach. Also there are many beautiful temples ,beaches and other places which I am mentioning in my Chennai series next posts. Hope you will like that too. I have been to chennai a few times, all work related and loved the city. Except the muggy weather in summer-rainy season, the weather otherwise has been pretty moderate. I also picked few phrases (Pollama, Aama, Counting, Ilaai, Tipatti kudiange, Aiyayee Yo�) which helped me to make may way through :-). Unlike Hyd or Blr, where you can move around with zero knowledge of Kannada or Telugu, here it can get a little difficult when it comes to Auto Ricks and road side shops. This is completely new to me. May be it is new. In 2007, we were driving back from Mammalapuram to Chennai and the flight got cancelled and we were put in another flight which was next day. If we had known this, we would have gone there. You have indeed described the place really beautifully. I remember that , for your Essel World log, I commented that you write like Vishal (in terms of step-by-step) and I have to repeat that comment. Great log Abhee. Thanks NJ for liking the post. I am impressed seeing your knowledge in Tamil.I know it is little difficult managing in Chennai without Tamil knowledge.But if any one knows English , then auto wala and shop keepers very easily converse in English words not in English sentence. As you mentioned about your experience in 2007, I wanted to add one more thing here. 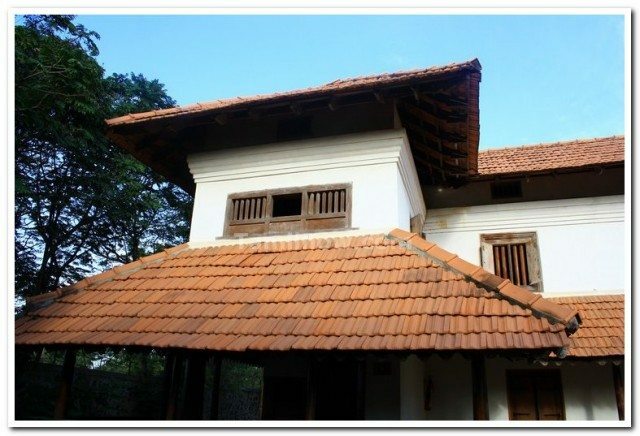 Dashina Chitra also has room facilities , which means it is also small type of heritage hotel. I know this information,but I had not seen rooms, that’s why not mentioned in the post. Wonderful post to Introduce Chennai and Dakshinachitra. You have beautifully written along with nice captured pictures. Good message to save earth… We always use CFL (Compact fluorescent lamp) light in place of Bulbs. Thanks Ritesh ji for liking the post. I wonder how some political creatures in Tamil Nadu can thrive by exhibiting their hostility towards Hindi !!! I knew that TN produces a very large number of Hindi movies. 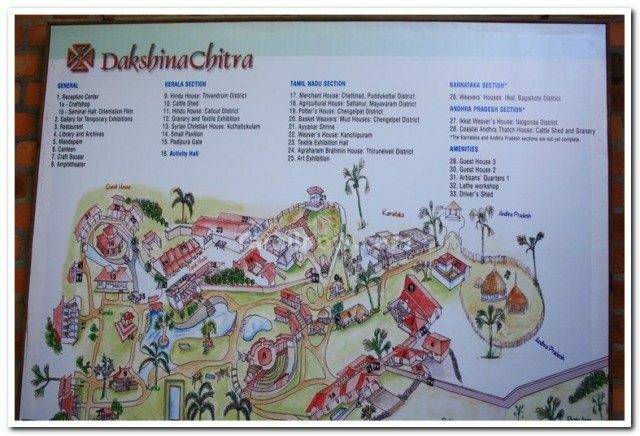 And now, through your blog I learn that there are places named as “Dakshina Chitra” there! If Dakshina Chitra is considered Sanskrit and not Hindi, Sanskrit can successfully be used to patch up North and South language divide. Thanks Sushant ji for liking the post. In Chennai , people here are fond of Sanskrit and there are associations here teaching free Sanskrit classes. Thanks for liking my painting as well. Also, I am happy to know about your cousin hardwork in foil painting. Nice post and great paintings, especially your’s. That golden things is paint or some foil etc? Thanks Praveen ji for liking the post. Golden thing is gold foil. A very informative post. It’s all new for me Abhee Ji and hope all other will also be new for me in other post. Tanjaur painting made by you is excellent in my view so you should not leave this hobby. Thanks for sharing such a great information for the people like me. Regards. As heat in Delhi became unbearable, as we gave up on staying alive in the huge bar-be-que that seemed to follow us wherever one would go, and finally as our frustration psyched us out since we could not find an appropriate, worthy, exciting place for our holiday – along came Kasol. 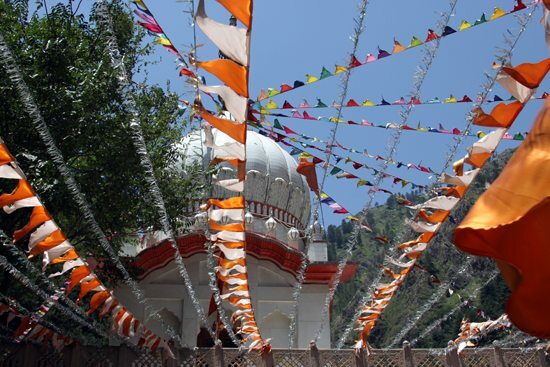 To make the deal more lucrative, it came across that Gurudwara Manikaran Saheb was close-by, hence a visit was warranted.